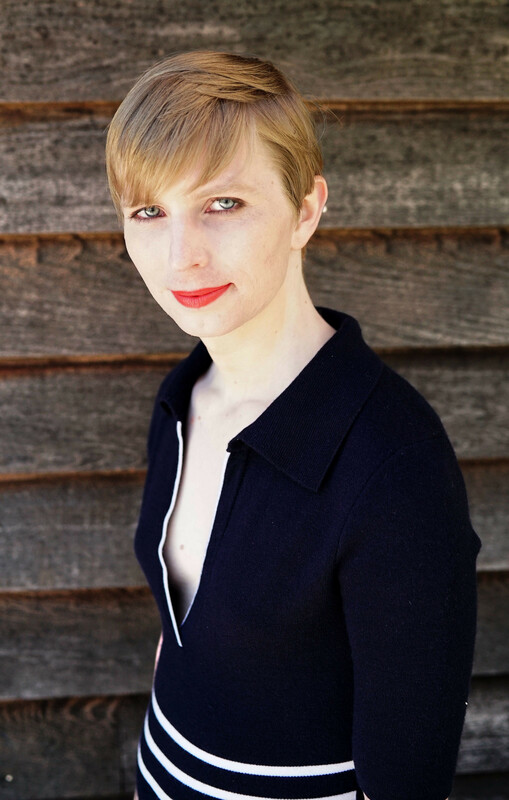 Today, Chelsea Manning released her first full portrait image on social media. The posts on Twitter and Instagram follow her release from military prison yesterday. This photo is also the preferred image to use in stories about Chelsea moving forward for the time being. Tagged #ChelseaisFree, #freechelsea, #hugsforchelsea, aclu, barack obama, chase strangio, chelsea manning, clemency, commutation. WASHINGTON, DC — The Obama administration announced today the commutation of Chelsea Manning’s sentence for disclosing classified information that raised public awareness regarding the impact of war on innocent civilians. Manning will reportedly be freed in May 2017.